Management of NAFLD requires a multidisciplinary approach. Nonalcoholic fatty liver disease (NAFLD) is defined as the accumulation of excess fat (triglyceride) in the liver in the absence of excessive alcohol consumption. 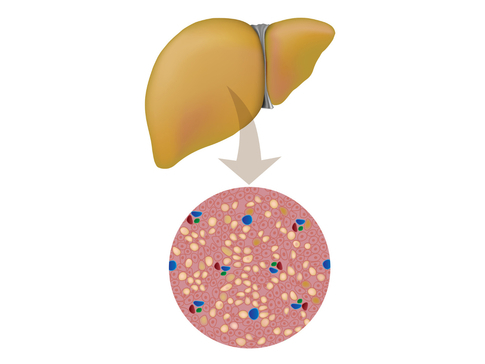 Disease severity ranges from simple steatosis (nonalcoholic fatty liver [NAFL]) to nonalcoholic steatohepatitis (NASH), fibrosis, or cirrhosis, with the potential to develop hepatocellular carcinoma (HCC) or require liver transplantation. NAFLD is believed to affect up to 25% of the Western population,1 and is fast becoming the leading reason for liver transplantation worldwide.2 It affects up to 70% of those who are obese,3 and is strongly linked to the metabolic syndrome. Management of NAFLD therefore requires a multidisciplinary approach, not only to identify those patients at risk of progressive liver disease, but also to improve long-term liver and cardiovascular morbidity and mortality. Here, we highlight some of the mistakes commonly made by medical practitioners when managing NAFLD, and give an evidence-based (where possible) or experience-based approach to management of the condition. Abnormal concentrations of liver enzymes are probably the most frequent reason for a patient to be referred to a NAFLD clinic. However, several studies have shown that alanine aminotransferase (ALT) levels can be normal across the spectrum of disease in up to 30% of patients.4 Although steatosis is less marked in those who have ALT levels <30 IU/L than in those who have an ALT level of 30–75 IU/L, the full spectrum of fibrosis, including cirrhosis, can be seen in those with an ALT level <30 IU/L.5 The presence of a fatty liver on ultrasound therefore requires further investigation even in the presence of a normal ALT. Even if a patient has all the features of metabolic syndrome, it is important to remember that other concomitant aetiologies may be responsible for their liver symptoms. A detailed alcohol history is essential; generally an alcohol intake below national guidelines helps to rule out a diagnosis of alcohol related liver disease. Alternative aetiologies may be treatable (e.g. hepatitis C infection) and so should be considered and ruled out. Conversely, if despite a negative liver screen the picture doesn’t quite ‘fit’ with NAFLD, you should have a low threshold for confirming the diagnosis with a liver biopsy sample. Liver biopsy remains the gold standard for assessing fibrosis in patients with NAFLD; however, not all patients consent to biopsy samples being taken. Noninvasive methods of fibrosis assessment can be used in lieu of liver biopsy, facilitating more frequent assessment and avoiding biopsy-related risks. Transient elastography, or FibroScan®, has been utilised to this end, with a sensitivity of 91% and a specificity of 75% for the detection of significant (≥F3) fibrosis using a cut-off value of >7.9kPa.6 However, the results of transient elastography may not always be correct and should always be correlated carefully with the clinical picture. If the results of noninvasive tests appear discordant with the clinical picture then a staging biopsy should be considered. Although there is currently no approved pharmacotherapy for NAFLD, that does not mean there is no treatment for patients who have NAFLD. Fibrosis stage is the best predictor of liver-related morbidity,7 and patients should undergo accurate staging so that those at risk of cirrhosis and HCC can be identified and appropriately managed. In addition, cardiovascular disease is the primary cause of mortality in individuals with NAFLD, estimated at 40%,8 requiring proactive management of the features of the metabolic syndrome (i.e. reducing blood pressure and cholesterol, weight loss) so as to reduce the risk of fibrosis progression as well as reducing long-term cardiovascular mortality. Weight gain is one of the best predictors of fibrosis progression.9 By contrast, >7% weight loss has been shown to reduce fibrosis,10 and so referral to weight-management specialists for those patients with a BMI >30 is encouraged.11 Furthermore, drugs such as elafibranor and obeticholic acid for NAFLD are showing promise in phase 3 developments, and it is worth considering whether patients may benefit from participation in clinical trials. HIV infection and/or ART is related to increased visceral adiposity and triglyceride accumulation in the liver,16 mitochondrial damage and endoreticular stress, and increased bacterial translocation, culminating in increased insulin resistance and metabolic syndrome. These changes are independent of viral load or CD4 count, but use of nucleoside reverse transcriptase inhibitors (NRTIs) such as zidovudine, stavudine or didanosine14 and the protease inhibitors indinavir and ritonavir has been associated with an increased risk of NASH.17 Newer generations of ART are believed to have an improved metabolic profile, and should be considered for the treatment of those with HIV-associated NAFLD. Baseline fibrosis is believed to be an important predictor of progression to cirrhosis, but several factors contribute to fibrosis progression, and fibrosis regression is also seen in up to 30% of individuals.18,19 Risk factors that have been consistently demonstrated to affect disease progression are diabetes and BMI.9,18,20,21 Hence, a 35-year-old obese individual with diabetes who has stage 1–2 fibrosis and continues to gain weight may be of more concern than a 70-year-old patient with stage 3 fibrosis. Of note, the degree of steatosis has not been shown to correlate with fibrosis progression, nor convincingly a histological diagnosis of NASH. Despite older age and comorbidities such as obesity, outcomes after liver transplantation for NAFLD are similar to outcomes after liver transplantation for other indications.22 For this reason, patients should not be dismissed as potential transplant recipients due to their age or obesity. A systematic review and meta-analysis supports this point, although it also demonstrated that there may be increased short-term (30 days) and medium-term (5 years) mortality rates after liver transplantation for those who have a BMI ≥40, and so these patients do require careful assessment and selection prior to listing for transplantation.23 Expertise in patient selection and post-operative care for those with obesity and NAFLD is increasing, and mortality rates are likely to improve further. 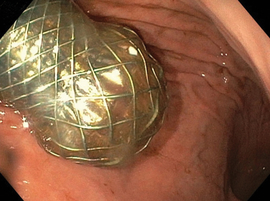 Likewise, although the risk of bariatric surgery is higher in those who have decompensated cirrhosis or portal hypertension,24 several studies have reported excellent outcomes for patients with compensated cirrhosis who underwent laparoscopic bariatric surgery.11,25,26 Even those who have significant liver disease should, therefore, not be excluded from weight-reducing procedures. In both cases, patients should be referred to centres with experience in this field so that the benefits and risks can be carefully considered. For patients who progress to cirrhosis, weight management becomes more challenging than it is for patients who do not. Whilst weight loss is desirable for most patients during disease progression, it may represent the onset of sarcopenia and protein calorie malnutrition in patients who have cirrhosis. The development of nonliver cancer and HCC should also be considered. Liver transplantation may be indicated for those patients who have end-stage liver disease; input from an experienced dietician is recommended to optimise the nutritional status in those who have sarcopenic obesity with the potential added complication of diabetes. Younossi ZM, et al. Global epidemiology of nonalcoholic fatty liver disease—Meta-analytic assessment of prevalence, incidence, and outcomes. Hepatology 2016; 64: 73–84. Wong RJ, et al. Nonalcoholic steatohepatitis is the second leading etiology of liver disease among adults awaiting liver transplantation in the United States. Gastroenterology 2015; 148: 547–555. Smits MM, et al. Non-alcoholic fatty liver disease as an independent manifestation of the metabolic syndrome: results of a US national survey in three ethnic groups. J Gastroenterol Hepatol 2013; 28: 664–670. Amarapurkar DN and Patel ND. Clinical spectrum and natural history of non-alcoholic steatohepatitis with normal alanine aminotransferase values. Trop Gastroenterol 2004; 25: 130–134. Mofrad P, et al. Clinical and histologic spectrum of nonalcoholic fatty liver disease associated with normal ALT values. Hepatology 2003; 37: 1286–1292. Wong VW, et al. Diagnosis of fibrosis and cirrhosis using liver stiffness measurement in nonalcoholic fatty liver disease. Hepatology. 2010; 51: 454–462. Angulo PK, et al. Liver fibrosis, but no other histologic features, is associated with long-term outcomes of patients with nonalcoholic fatty liver disease. Gastroenterology 2015; 149: 389–397.e10. Ekstedt M, et al. Fibrosis stage is the strongest predictor for disease-specific mortality in NAFLD after up to 33 years of follow-up. Hepatology 2015; 61: 1547–1554. Pais R, et al. A systematic review of follow-up biopsies reveals disease progression in patients with non-alcoholic fatty liver. J Hepatol 2013; 59: 550–556. Musso G, et al. Impact of current treatments on liver disease, glucose metabolism and cardiovascular risk in non-alcoholic fatty liver disease (NAFLD): a systematic review and meta-analysis of randomised trials. Diabetologia 2012; 55: 885–904. Shimizu H, et al. Bariatric surgery in patients with liver cirrhosis. Surg Obes Relat Dis 2013; 9: 1–6. Sulkowski MS, et al. Hepatotoxicity associated with protease inhibitor-based antiretroviral regimens with or without concurrent ritonavir. AIDS 2004; 18: 2277–2284. Maurice JB, et al. Prevalence and risk factors of nonalcoholic fatty liver disease in HIV-monoinfection. AIDS 2017; 31: 1621–1632. Crum-Cianflone NF. Nonalcoholic fatty liver disease: an increasingly common cause of liver disease among HIV-infected persons? AIDS Read 2007; 17: 513–518. Bonfanti P, et al. HIV and metabolic syndrome: a comparison with the general population. J Acquir Immune Defic Syndr 2007; 45: 426–431. Grunfeld C. Insulin resistance in HIV infection: drugs, host responses, or restoration to health? Top HIV Med 2008; 16: 89–93. Crum-Cianflone N, et al. Nonalcoholic fatty liver disease among HIV-infected persons. J Acquir Immune Defic Syndr 2009; 50: 464–473. Adams LA, et al. The histological course of nonalcoholic fatty liver disease: a longitudinal study of 103 patients with sequential liver biopsies. J Hepatol 2005; 42: 132–138. Singh S, et al. Fibrosis progression in nonalcoholic fatty liver vs nonalcoholic steatohepatitis: a systematic review and meta-analysis of paired-biopsy studies. Clin Gastroenterol Hepatol 2015; 13:643–654.e1–9. Wong VW, et al. Disease progression of non-alcoholic fatty liver disease: a prospective study with paired liver biopsies at 3 years. Gut 2010; 59: 969–974. McPherson S, et al. Evidence of NAFLD progression from steatosis to fibrosing-steatohepatitis using paired biopsies: implications for prognosis and clinical management. J Hepatol 2015; 62: 1148–1155. Charlton MR, et al. Frequency and outcomes of liver transplantation for nonalcoholic steatohepatitis in the United States. Gastroenterology 2011; 141: 1249–1253C. Khan RS and Newsome PN. Non-alcoholic fatty liver disease and liver transplantation. Metabolism 2016; 65: 1208–1223. Mosko JD and Nguyen GC. Increased perioperative mortality following bariatric surgery among patients with cirrhosis. Clin Gastroenterol Hepatol 2011; 9: 897–901. Dallal RM, et al. Results of laparoscopic gastric bypass in patients with cirrhosis. Obes Surg 2004; 14: 47–53. Cobb WS, et al. Cirrhosis is not a contraindication to laparoscopic surgery. Surg Endosc 2005; 19: 418–423. Yalamanchili K, et al. Nonalcoholic fatty liver disease after liver transplantation for cryptogenic cirrhosis or nonalcoholic fatty liver disease. Liver Transpl 2010; 16: 431–439. Afzali A, Berry K and Ioannou GN. Excellent posttransplant survival for patients with nonalcoholic steatohepatitis in the United States. Liver Transpl 2012; 18: 29–37. Wang X, et al. Outcomes of liver transplantation for nonalcoholic steatohepatitis: a systematic review and meta-analysis. Clin Gastroenterol Hepatol 2014; 12: 394–402.e1. Kappus M and Abdelmalek M. De Novo and recurrence of nonalcoholic steatohepatitis after liver transplantation. Clin Liver Dis 2017; 21: 321–335. Dureja P, et al. NAFLD recurrence in liver transplant recipients. Transplantation 2011; 91: 684–649. Newsome PN, et al. Guidelines for liver transplantation for patients with non-alcoholic steatohepatitis. Gut 2012; 61: 484–500. Shouhed D, et al. The role of bariatric surgery in nonalcoholic fatty liver disease and nonalcoholic steatohepatitis. Expert Rev Gastroenterol Hepatol 2017; 11: 797–811. Nair S and Wilding JP. Sodium glucose cotransporter 2 inhibitors as a new treatment for diabetes mellitus. J Clin Endocrinol Metab 2010; 95: 34–42. Qiang S, et al. Treatment with the SGLT2 inhibitor luseogliflozin improves nonalcoholic steatohepatitis in a rodent model with diabetes mellitus. Diabetol Metab Syndr 2015; 7: 104. Honda Y, et al. The selective SGLT2 inhibitor ipragliflozin has a therapeutic effect on nonalcoholic steatohepatitis in mice. PLoS One 2016; 11: e0146337. Komiya C, et al. Ipragliflozin improves hepatic steatosis in obese mice and liver dysfunction in type 2 diabetic patients irrespective of body weight reduction. PLoS One 2016; 11: e0151511. Hayashizaki-Someya Y, et al. Ipragliflozin, an SGLT2 inhibitor, exhibits a prophylactic effect on hepatic steatosis and fibrosis induced by choline-deficient l-amino acid-defined diet in rats. Eur J Pharmacol 2015; 754: 19–24. Seko Y, et al. Effect of sodium glucose cotransporter 2 inhibitor on liver function tests in Japanese patients with non-alcoholic fatty liver disease and type 2 diabetes mellitus. Hepatol Res 2017; 47: 1072–1078. Leiter LA, et al. Effect of canagliflozin on liver function tests in patients with type 2 diabetes. Diabetes Metab 2016; 42: 25–32. Baggio LL and Drucker DJ. Biology of incretins: GLP-1 and GIP. Gastroenterology 2007; 132: 2131–2157. Armstrong MJ, et al. Liraglutide safety and efficacy in patients with non-alcoholic steatohepatitis (LEAN): a multicentre, double-blind, randomised, placebo-controlled phase 2 study. Lancet 2016; 387: 679–690. Fitchett D, et al. Heart failure outcomes with empagliflozin in patients with type 2 diabetes at high cardiovascular risk: results of the EMPA-REG OUTCOME(R) trial. Eur Heart J 2016; 37: 1526–1534. Saad M, et al. Cardiovascular outcomes with sodium-glucose cotransporter-2 inhibitors in patients with type II diabetes mellitus: A meta-analysis of placebo-controlled randomized trials. Int J Cardiol 2017; 228: 352–358. Marso SP, et al. Semaglutide and cardiovascular outcomes in patients with type 2 diabetes. N Engl J Med 2016; 375: 1834–1844. Marso SP, et al. Liraglutide and cardiovascular outcomes in type 2 diabetes. N Engl J Med 2016; 375: 311–322. © UEG 2017 Townsend and Newsome. Sarah A. Townsend and Philip N. Newsome are at the Queen Elizabeth Hospital, Birmingham, Centre for Liver Research, Institute of Immunology and Immunotherapy, University of Birmingham, Birmingham, UK. Published online: October 19, 2017. Sarah Townsend is a trainee in gastroenterology and now a research fellow at the University of Birmingham, UK. Her major interests are liver fibrosis and nonalcoholic liver disease. Philip Newsome is Director of the Centre for Liver Research and Professor of Experimental Hepatology and the University of Birmingham, and Consultant Hepatologist at the Liver Unit, Queen Elizabeth Hospital, Birmingham, UK. He runs the metabolic services at the Liver Unit at the Queen Elizabeth Hospital Birmingham and has published more than 75 research papers in scientific journals as well as many book chapters in the field of nonalcoholic fatty liver disease. He sits on the NICE Guideline Development Group for NAFLD. ‘NAFLD-NASH: Where are we going?’ session at UEG Week 2016. ‘Update on non-alcoholic steatohepatitis (NASH)’ session at UEG Week 2015. ‘Obesity, non-alcoholic fatty liver disease (NAFLD) and liver cancer’ presentation at UEG Week 2015. ‘New hope for fatty liver disease’ presentation at UEG Week 2015. ‘The role of microbiota in non-alcoholic fatty liver disease (NAFLD)’ session at UEG Week 2014. 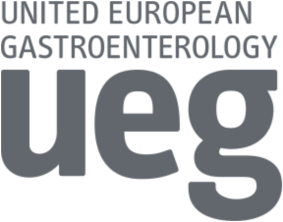 Further relevant articles can be found by navigating to the ‘hepatobiliary’ category in the UEG Standards & Guidelines repository and via the EASL Clinical Practice Guidelines webpage.